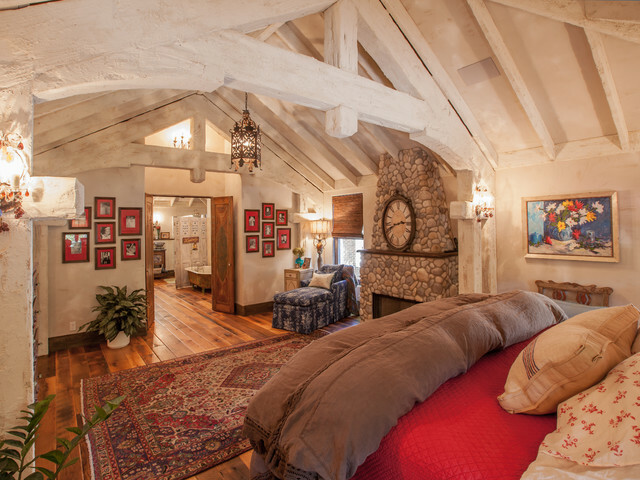 Wood beams - Can you please tell me what treatment you used to achieve thismlooks on the walls and beams? This is absolutely stunning!!!! Thank you. Two other questions. First, do you have a picture of this room from the bathroom in which i could see what the wall the bed is on looks like? Second, can you tell me the manufacturer and specs for the wood flooring? This has become my inspiration room for our new build. Thank you for your interest in our projects. We have included an additional photo of the master bedroom from an alternate angle to help you better understand the space. The wood is Antique Oak Flooring, Appalachian Woods, natural color with clear finish. Thank you for your inquiry! We would be happy to let you use this photo for a blog post. Could you please credit both Key Residential and the photographer, Lair Photography? 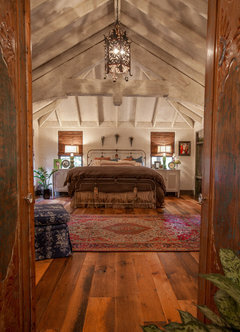 And if you would like, you can link to the Houzz article that details this whole house remodel. You can find the article here. If you have any questions or need anymore information please let us know. Love the brown comforter, where is it from? Thank you for viewing our photos. The comforter was selected by the homeowners and interior designer. Unfortunately we do not have vendor information for it.